On the left side of the dashboard you'll see that the visitor and the background color are PINK. That means there is an incoming chat or Incoming call that needs to be answered. Answer incoming chat by clicking Click On The Visitor visitor (with PINK background) to open the chat window. PINK Background - The new incoming chat is not answered. Background Green - Chat that YOU have answered and is currently active. 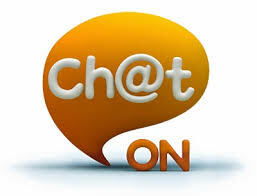 Blue Background - Active Chat but Other Agent has answered.) Then click on JOIN BUTTON at the bottom of the chat window. Once you answer the chat the visitor will have a green background. 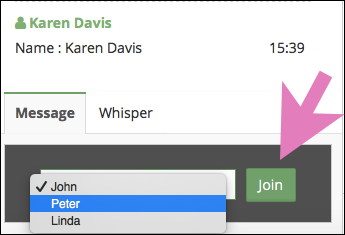 You can use the menu to select Alias Select The Alias you want to chat with. The Alias name will appear when you click the menu. Select Alias then click the Join Green button.